“Discovered – The Cross of Lorraine” is complete, printed and available in less than two weeks! 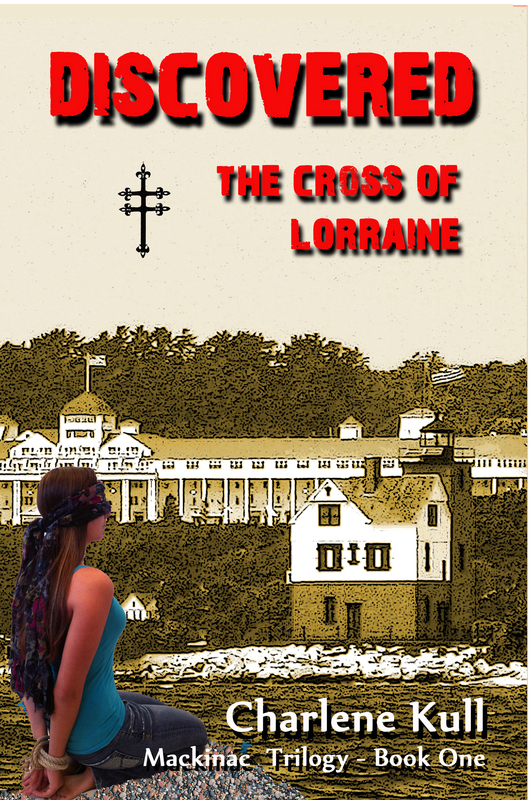 The novel Discovered – The Cross of Lorraine is scheduled to be published on Amazon.com, on March 30th, in honor of a very special girl’s 16th birthday. Written for pre-teen and teenage girls, it grabs the attention of readers of all ages. Think of a modern day Nancy Drew type of heroine, add the excitement and suspense of hidden treasure such as in National Treasure, set the novel in Michigan’s Upper Peninsula and Mackinac Island, incorporate Native American heroes – and unite them in one intense love story, and you begin to sense the nature of this novel. Tawny Randolph, the heroine and central character is 17 years old – independent, clever, and athletic, yet softly beautiful and loving. Her tale is fast-moving, exciting, and inspirational. While vacationing in Jamaica with her mother, Tawny is forcefully abducted by the wealthy son of a notorious leader of the Russian mafia. Convinced that she holds the key to enormous treasure hidden centuries earlier, the Russian and his terrifying conspirators force her to lead them to a secret cave on a remote island in the Great Lakes region. As this captivating and romantic tale unfolds, so does the intense and stirring love story of Tawny and her heroic Native American friend, Takoda. The timeless magnetism and unique atmosphere of Mackinac Island serve as a breathtaking backdrop to this suspenseful tale of ancient legends, hidden treasure, tender romance and one girl’s daring bravery.